Each year, thousands of people are seriously injured or killed in car accidents in the U.S. In Pennsylvania alone, there were nearly 80,000 injuries that resulted from car crashes in 2014. While the data shows that motor vehicle accidents are declining, still more than 32,000 people died in motor vehicle crashes in 2014. 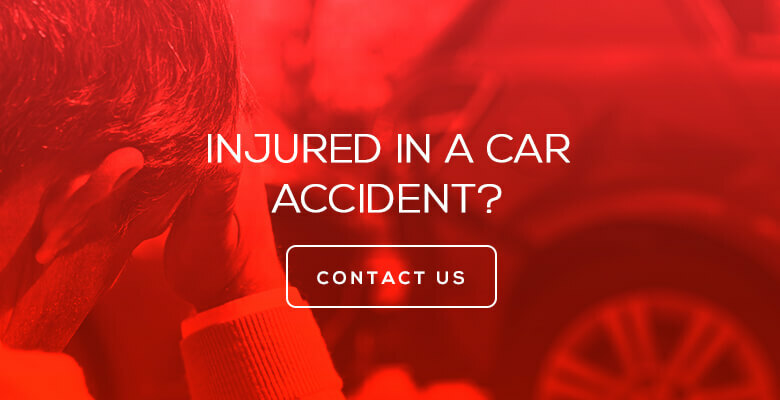 If you were involved in an accident and you were injured or a loved one was killed, our accident attorneys may be able to help you. Feel free to call our office for a free consultation and we would be happy to answer any questions you may have. In some cases liability is clear, for example if you are stopped at light and rear-ended. But many times each driver will blame the other person for the car accident. A police report can be useful in determining fault, however many times the report is incomplete and even inaccurate. Further, the officer’s conclusion regarding fault is generally not admissible evidence. Therefore, it is important to do an independent investigation. At the Personal Injury Law Firm of Rosenbaum & Associates, a Philadelphia car accident lawyer routinely hires investigators to take photographs of the car accident site and property damage as well as obtain witness statement. In more complex cases, we will retain engineering experts to perform an accident reconstruction. Under Pennsylvania law there are “first party (PIP) benefits” and “third party benefits.” PIP stands for Personal Injury Protection and is paid regardless of fault. These payments typically include medical bills and lost wages up to a specified amount. Every Pennsylvania insurance policy must provide at least $5,000 in medical benefits, but wages and collision coverage are optional. Third party benefits are paid by the defendant’s insurance company and are only payable if another driver is at fault. Usually, this claim includes pain and suffering, outstanding medical bills, lost wages and can include property damage if you do not have collision coverage. When selecting auto insurance you have a choice of purchasing “Full Tort” or “Limited Tort.” If you choose the option of limited tort, you have an additional burden in order to recover for pain and suffering. You need to prove that have sustained a “serious injury,” meaning personal injury that resulted in death, serious impairment of body function or disfigurement permanent in nature. Although there is no set criteria getting over this threshold, muscle strains and other injuries that resolve in a few months are typically not sufficient. You can still pursue a claim if you have selected limited tort, but it is crucial that you get the appropriate diagnostic testing to confirm any injuries. There are also exceptions that can apply to change you from limited tort to full tort. For example, if the other driver was driving under the influence or was operating a vehicle registered outside of Pennsylvania you will have the full tort option. If you selected the full tort option you maintain all of your rights to recover for pain an suffering. That means there is no threshold and you can recover for even minor injuries. Regardless of your tort option you can still recover for your economic losses (i.e. wages, property damage, and excess medical bills). Unfortunately, there are many drivers who do not have insurance or purchase inadequate liability coverage. Therefore, to protect yourself and your family, a Philadelphia car accident lawyer wouls suggest you should purchase both uninsured and under insured motorist coverage. You can also make a UM claim when the accident was caused by an unidentified driver (eg. hit and run). In pursuing a UM claim you are demanding that your insurance company pay for the all the damages caused by the uninsured driver. You still need to prove the other driver(s) were at fault. And you need to show the responsible party did not have insurance. One significant difference is when the case is heard by a panel of arbitrators and not a jury. If you are a passenger or driving someone else’s car and neither car has insurance, you may still be able to get compensated for your injuries. A Philadelphia car accident lawyer can help you can recover UM benefits from your own car insurance or possibly a family member’s car insurance. If no one in your household owns a car then there is a limited fund set up by the state where you can recover up to $15,000. However, there are a number of requirements to be eligible for this fund. If you would like more information please contact us online or call 1 800 7 LEGAL 7 for a Free Case Evaluation. As the chart above shows, 65% of all fatal accidents involve passenger vehicles. In 2014, there were 121,317 reportable traffic crashes in the state of Pennsylvania alone. Crashes claimed the lives of 1,195 people and injured another 79,758 people. On average, 332 traffic crashes, or 14 every hour, occurred that year. Each day, at least 3 people are killed – that’s one every 7 hours; 9 people are injured every hour. Of all reportable traffic accidents in 2014 (199,588), passenger cars were involved 56% of the time, light truck/vans/SUVs were involved 37% of the time, heavy trucks 4%, motorcycles 2%, and all other types (such as commercial/school bus, etc.) 1% of the time. Speeding clearly accounted for the majority of vehicle crashes both nationally and in the state, but drinking and driving and distracted driving were clearly contributing factors here. In the state of Pennsylvania, the problem of drinking and driving remains a top safety issue, mainly because alcohol related crashes are more likely to involved fatalities. Alcohol related crashes caused 333 deaths in 2014. Of occupant deaths, 87% were in the vehicle driven by a drunk driver; 72% of those were the drinking drivers themselves. Pedestrians (13%) were also victims of drunk drivers far too often. Alcohol related crashes were 4.1% more likely to result in death compared to crashes not involving alcohol. The majority of those who drank and drove (74%) were male, in the 21-25 age range (42.9%), who drank and drove most often (72% of the time) on weekends. Distracted drivers accounted for 13,964 crashes in 2014. Since the initiation of the no texting law in 2012, Pennsylvania drivers have been cited 3,940 times for texting while driving (1,410 in 2014 alone) and 1,752 times (711 in 2014) for using headphones while driving. The young drivers (age 16-21) and the mature drivers (ages 65 and over) were most often involved in crashes. Eating, drinking, and/or smoking. These all create safety problems because they often require the driver to take the hands off of the wheel and eyes off of the road. Drivers who eat or drink while driving have trouble controlling their vehicle, staying in their lane, and have to brake more often. In 2013, 3,154 people were killed in motor vehicle crashes involv­ing distracted drivers. This represents a 6.7% decrease in the number of fatalities recorded in 2012. Unfortunately, approximately 424,000 people were injured, which is an increase from the 421,000 people who were injured in 2012. Drivers in their 20s make up 27% of the distracted drivers in fatal crashes. Engaging in visual-manual subtasks (such as reaching for a phone, dialing, and texting) associated with the use of hand-held phones and other portable devices triples the risk of getting into a crash. Five seconds is the average time your eyes are off the road while texting. If you are traveling at 55 mph, that is enough time to cover the length of a football field blindfolded. Headset cell phone use is not substantially safer than hand-held phone use. A quarter of teens respond to a text message once or more every time they drive. Twenty percent of teens and 10% of parents admit that they have extended, multi-message text conversations while driving. 1. If you or your passengers are not seriously injured, move to a safe place away from traffic. Never move a severely injured person unless you absolutely must do so to keep him or her out of harm’s way. If you can safely do so, however, move everyone (including your car, if possible), to the side of the road and wait for help there. Be sure to turn on your car’s hazard lights to alert other drivers that you need help. Flares are also a good way to alert other drivers that you are in trouble when it is dark and visibility is low. 2. Call the police to the scene and wait there for them. If anyone is seriously hurt, call 911. Never leave the scene of an accident unless there are no injuries and you and all other parties involved agree that a simple exchange of insurance information is all that is necessary. Leaving the scene of an accident when someone is injured could leave you facing criminal charges for hit and run. 3. Gather as much information as possible. You will need as much information as you can gather for insurance or legal purposes. You will need the driver and passenger names, license plate numbers and car types, and insurance information from all parties involved. Take notes while you are waiting for help to arrive. If there are witnesses, ask for their contact information as well. You should also take pictures of the scene whenever possible. Save the contact information of any responding police officers as this can come in handy later. 4. Call your insurance company as soon as possible. Let your insurance agent know what happened, the location, and any special circumstances while the details are fresh in your mind. 5. Keep a careful record of any medical treatment you receive due to the accident. Visits to doctors, chiropractors, physical therapists, or any other health professional you make as a result of your accident should be carefully noted. Save copies of all related medical bills and prescription receipts. If you miss work or other important activities, keep a record of that also. 6. Be careful about discussing the details of your accident with others. Finally, use caution when discussing the details or any auto accident, particularly the other insurance company, as they will often try to get you to settle for a lesser amount than you should. When in doubt, contact an attorney, especially if you anyone was injured in the accident. If you were injured, we can help you maximize any recovery due you or help to defend you if you were at fault in the accident.